The 3.6L V6 engine has 239 hp, and the transmission is a 6 speed automatic.. The diesel engine is a 4 cilinder, 2.8L, with 200hp.. 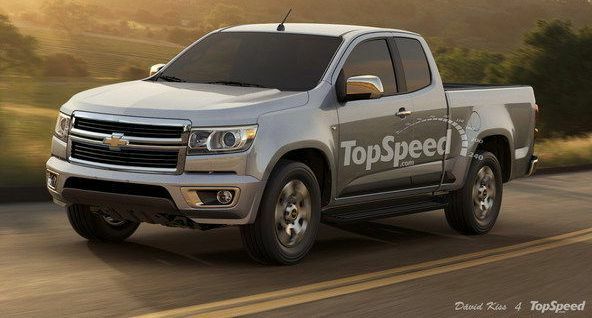 In Brazil there’s also a 2.4L 4 cilinder flex (runs on ethanol or gasoline or any mix of both), 150hp..
That doesn’t mean that it is going to carry over to the United States. . . . When chevrolet released the new S10, and the new Trailblazer here in Brazil, all the old S10 fans were disapointed. The older model had a Vortec 4.3L V6 engine, which were even better than the engine that Chevy offered here in the Silverado that was a 4.1L L6. The 3.9 just doesn’t have enough torque, in my opinion. But the Brazilian truck market doesn’t buy gasoline engines. Here, about 80% of the trucks are turbo Diesel. We have only models that offers gasoline engines here. Chevy, with the S10, Ford, with the Ranger, Mitsubishi, with the L200 and Toyota, with the Hillux. All the other models, Nissan Frontier, Volkswagen Amarok, Ram 2500, Ford F-250, 350 and 450 are offered only with diesel engines. As in USA the share is bigger for gas engines, propably you’ll have better gas engine options..